Much attention has been focused on the plight of child refugees but it can be confusing differentiating between different categories of children. Below, we have detailed information about the five different groups of refugee children as identified by Save the Children and others. The information outlines who each group of child refugee is comprised of, where they are mostly located and how they can legally come to the UK. Who – Syrian Refugee children who may be relocated to the UK with their families over the next four years. Where – Currently in camps in areas surrounding Syria, such as Lebanon, Jordan and Turkey. 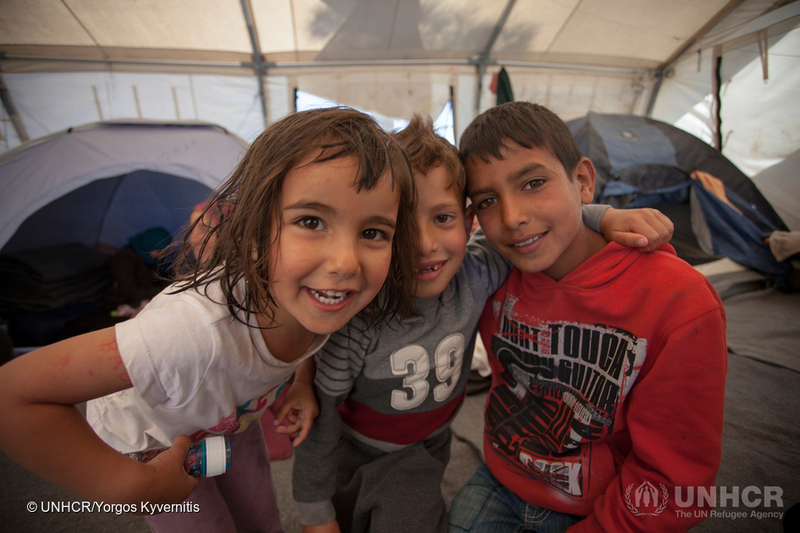 How – These children can be relocated under the Syrian Vulnerable Persons Scheme which counts towards the 20,000 Syrian refugees that the government have pledged to take in by 2020. Where – In Calais, Greece and Italy, but also in many other places across Europe, like Serbia and Macedonia. Who – Unaccompanied child refugees in Europe with no family in the UK. How – There is no legal right for them to come to the UK, but under The Dubs Amendment in the Immigration Act 2016 an unspecified number of child refugees can be relocated to the UK if identified ‘at risk’ and it serves their best interests to be in the UK. Organisations are calling for 3000 but the final figure could be more or less. These children are not necessarily orphans, they might have family in other countries but not the UK. How – Identified by the British Government, charities and the UNHCR, to come to the UK under Vulnerable Children’s Resettlement Scheme. Where – Already in the UK, mostly in Kent, being looked after by a strained Kent Local Authority, while government try and disperse them nationally to other Local Authorities. How – They came over in various different ways, such as on trucks and boats, but weren’t brought over through any official schemes. They are now attempting to go through the legal process to obtain refugee status. Follow this link to find our shareable infographic on the groups of refugee children. Nobody deserves to live this way! The Dubs Amendment: what’s the situation?